With Birmingham’s famous Christmas market starting today (17 November) and the number of visitors to the city set to increase over the festive season, Network Rail is urging passengers to plan their journeys and allow more time to catch their trains at Birmingham New Street. Millions of people visit the city and market every year, putting increased pressure on the rail network. This year the Christmas market runs until Christmas Eve, is closed on Christmas Day and then reopens on Boxing Day until 29 December. Combined with the seasonal increase in shoppers, it helps to create one of the busiest times of the year in Birmingham. The average number of passengers who use the station every day is 170,000 but this increases to an average of more than 180,000 each festive period and this year is expected to be no different. While there is more space than ever inside Birmingham New Street, crowd control measures may still be in use at busy times to safely access the platform areas and trains. Extra staff will be on hand to provide assistance. Patrick Power, Network Rail’s station manager at Birmingham New Street, said: “The Christmas market and festive season are great for Birmingham but put significant pressure on the station to safely manage much higher passenger numbers and sudden surges of people trying to catch their train. 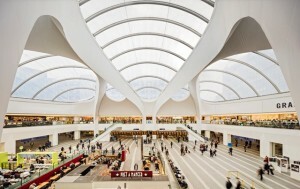 “Last Christmas was the first with the new concourse which made a big difference to passengers using the station. However, while there is more than enough space to handle the expected crowds, we have to be prepared to put queuing measures in place to get to the platform areas, should we need to.